Management systems play a vital role in today’s dealership, but they’re unfortunately often let down by a lack of integration. Think about the constituent areas of your dealership business; there’s the sales team, the servicing department, your digital presence and the marketing arm. It’s a complex web of services and business functions that need to work in harmony if the operation is to be successful and capable of maintaining OEM-agreed goals and high levels of customer satisfaction. We shouldn’t forget the growing reliance placed on mobile, either, with customers increasingly expecting a convenient route to the dealership from the palm of their hand. Without an integrated automotive system in place, the teams within your dealership are probably navigating painfully through processes that have been manually stitched together. Multiple spreadsheets, documents and system logins take their toll on staff morale. However, with a single system that offers a structured approach to every area of the dealership, documentation can be automatically generated, and instant collaboration across departments delivered via intuitive and mobile-ready user interfaces. Imagine being able to monitor the real time performance of KPIs set with your OEMs and distributors, or the ability to keep track of spare parts and workshop performance in order to optimise warehousing and deliver truly competitive vehicle servicing. Using legacy software, you’d have to log into different systems to manually gather the required data and, even then, you’d lack the analytics and drill-down capabilities to discover true potential for improvement within the business. With an integrated approach, you’ll gain a 360˚ view of the marketplace, competition and your customer. The latter is particularly advantageous, because it will enable you to understand and meet the complex and ever-changing journey taken by car buyers today. A common frustration for car owners is the lack of assurance when it comes to the cost and timeframe for the service of their vehicle. Choose the right integrated automotive platform, and you’ll be able to offer servicing that is based on fixed costs and a guaranteed ETA. There really is no better way to build loyalty and trust with your customers. What’s more, such systems will also offer an invaluable online presence with web booking and payment options, giving customers ultimate flexibility and device freedom. In our fast-paced digital marketplace, sales teams need to be quicker than ever when it comes to responding to enquiries. Take a little bit too long, and the person who may well have become a long-term customer might decide instead to held elsewhere – quickly. 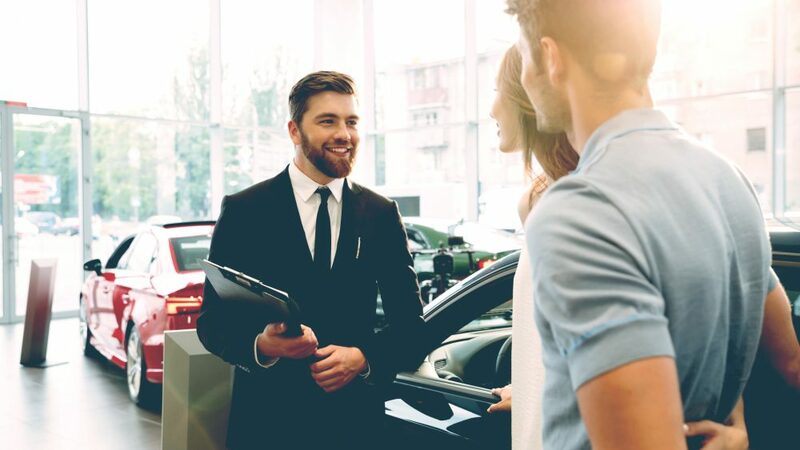 The reason for slow dealership response is often due to communication leaks within the sales process where customer enquiries are passed from pillar to post, completely undocumented. An integrated dealership sales solution will use a workflow-based approach to enable your sales team to respond lightning-fast to enquiries, auto-generate the necessary documentation, provide customers with invaluable automated updates via email and SMS, and ensure managers always have an unhindered, bird’s eye view of the entire sales funnel, with the option to collaborate in real-time. Any promotional work you undertake for your dealership should be both purposeful and present you with the ability to monitor the results. That might sound obvious, but far too many marketing campaigns are ran without sufficient planning and left to disappear into the ether without an analytical evaluation. Using a unified dealership marketing platform, campaigns can be made perpetual and managed across multiple channels from one screen. What’s more, goals can be set consistently across your organization, enabling every department to contribute to the marketing strategy. The ability for customers to be precisely targeted based on key automotive touchpoints (e.g. next service due or lease renewal dates) and have their every move documented during the campaign gives dealerships who embrace fully integrated systems an unbridled insight into what works best. To build a best-run business, you need to evaluate how comprehensively your automotive solution bridges different business aspects and provides a simple seamless user experience for you and the customer. Expecting more integration from your dealership software is the first step towards full digital transformation.